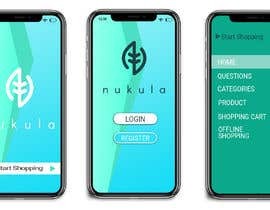 Nukula is an app that wants to change how people do their grocery shopping. It ranks grocery products based on how healthy they are. We are looking for a mockup design for some screens for our app, please see PDFs attached. 1. Home screen: links to: Start shopping, Previous baskets, profile, recipes. 2. 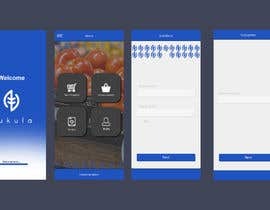 Start shopping screen: User gets asked what grocery store he wants to buy from. Also if he has allergies. 3. Categories screen: User select categories he wants to buy (for example yogurt or cereals). 4. 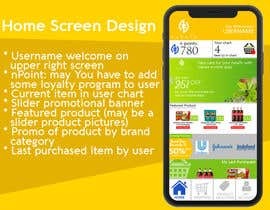 Product selection screen: User sees all products of that category ranked, he also is able to see the ingredients and nutritional values of the products. 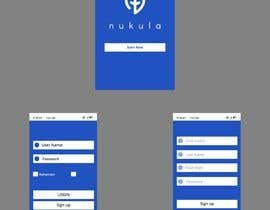 User will be able to add product to its basket working similar to tinder swiping. 5. Basket screen: User will be able to see his shopping cart with marks/tags/icons for healthy and non healthy products. - Manual of style attached. The contest will be opened for 10 days but we will try to close it as soon as we get a design we like. Also we will hire the designer for future graphic design services for our company. Please check entry #9 and provide your feedback. Hi Dear, i'm workin on your contest but i'm asking if the images matters to you cause i finish the pages and icons design, and your logo too i redesign it for save the quality by illustrator, i need your feedback before i will complete it in the future thanks ! I'm working on your project, I'll send my entry as soon as possible. Thanks for providing opportunities for freelancers! Hi George, Once we get good level entries we will guaranteed before the end of the contest. 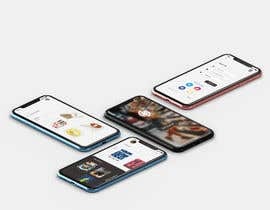 The home screen idea is not clear to me. You have it right, it is a screen with the options of profile, previous baskets, recipes and start shopping. Please see my entry and provide feedback not ratings. Hi, I will be submitting my entry in couple of hours. I have a few questions, are you there? 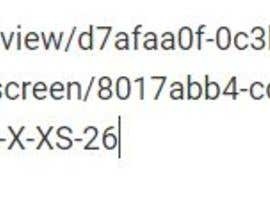 Hi Petter,I really like your desing of the app Xcash! Give us an opportunity, once we get good level entries we will guaranteed before the end of the contest. #guaranteed #sealed need the logo in png. 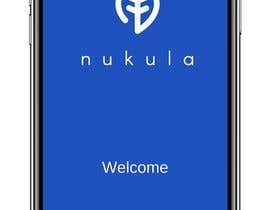 Can you please attach your logo in png? Thank you, we are looking forward to see it!